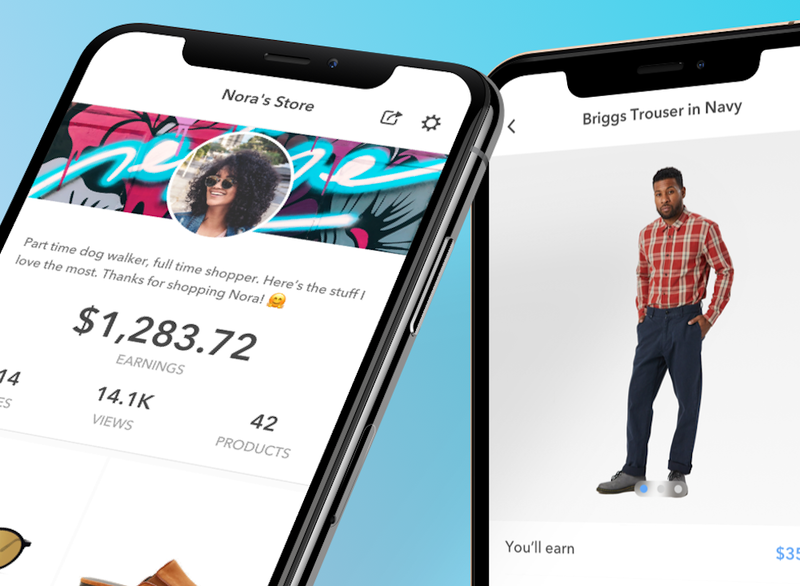 Storr, a new digital marketplace that empowers anyone to open a store from their phone in three clicks, launched this week. Now people can buy new, brand-name products directly from their friends or people they follow. Brands handle shipping and returns and people make a 15-25% commission instead of traditional retailers. Sellers can also donate a percentage of their earnings to Storr's non-profit partners. People can purchase from each other on Apple and Android devices, the web, and even directly from within Instagram, Twitter, and Facebook. "There's a Robin Hood feel to the platform," says Eric Senn, founder, and CEO. "You can buy new products from household-name brands directly from people you know. The money that would typically go to a company like Amazon or Macy's now goes to the person you buy it from. And there's no markup." Backed by the former CEO of Neiman Marcus, the former CEO of Macy's.com, Alex Rodriguez, Elyse Walker, David Sacks' Craft Ventures and Abstract Ventures, Storr signals the decentralization of a $3T global retail market dominated by large corporations like Amazon, Macy's, and Nordstrom. "Airbnb and Uber democratized hospitality and transportation by empowering the average person to use their personal assets to generate income. Storr falls into this category too. Anyone with a phone can create a store," said Senn. "Storr accelerates the transition from centralized, channel-first commerce to decentralized, people-first commerce." Storr is already working over 150 brands including Adidas, RE/DONE Denim, Solid&Striped, La Ligne, Jonathan Simkhai, Naadam, HillHouseHome, Spiritual Gangster, Rothy's, Alex Mill, Pop&Suki, Galvan, and DL1961, and is onboarding new brands daily. Brands can integrate with Storr in minutes and the platform will eventually feature thousands of brands in several different verticals. Scott Zalaznik, SVP of Digital at Adidas said, "Adidas is the creator sports brand. We've always found inspiration in the creative community. Our strategy going forward is to democratize creativity, to empower creators to make an even bigger impact and make sure they have tools like Storr to create the new." Brian Murray, head of investments for Craft Ventures commented, "Storr is taking us back to the future, where we buy from the people we trust and admire. As personal brands become larger, more relatable, and more trusted than retail brands, Storr represents the logical next step in e-commerce." "I'm a big believer in Storr's exceptional team and their potential to fill this white space in e-commerce," said Alex Rodriguez. Storr launched to a limited number of sellers today on iOS, Android, and web. The company will be adding more users from the waitlist in the coming weeks and plans to open the platform for anyone in 1-2 months. For more information on Storr visit storr.co or follow @storrstorrstorr on Instagram.